The year 2017 is closely ticking to a close, there are some important dates coming up. One of the most important anniversaries coming up is the 20th anniversary of the famous movie, directed and written by James Cameron, Titanic. The movie first came out December 19, 2017, and this December will be two decades since the movie came out and basically changed the movie world, and the real world, as well. When the movie was filming, there were a lot of stories about the filming, and its huge budget of $200 million dollars was unheard of , and everyone expected the movie to fail on a huge scale. No movie in the history had ever had such a massive budget, and the odds were against the movie being successful due to issues that occurred during filming. 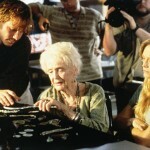 However, James Cameron, and the movie’s very talented cast, proved everyone on, and when Titanic was released, it broke box office records, and some of them remain to this day. 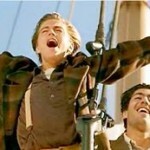 Here are more reasons why Titanic is still the greatest movie ever even after 20 years. When people hear that a movie has historical elements, the first thing that comes to mind is people groaning becuase the movie will more than likely be boring. However, despite its historical content, the second half of Titanic has a lot of action in it, and people were literally on the edge of their seat during the entire sinking sequence. The Titanic movie has some young actors in it, at the time of its release, both Kate Winslet and Leonard DiCaprio were in their early 20′s, but their talent was incredible. Both Kate and Leonardo took on the challenging roles like they were seasoned pros, and the whole world really believed they were a rich girl and a poor artist destined to find both love and tragedy aboard a doomed ship. 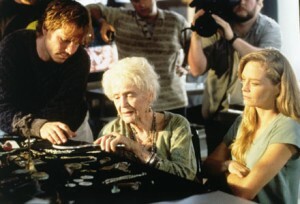 Whether the person watching Titanic is a young person, or an older one, the movie brings a message to the viewer. Rose had an amazing life, and she was lucky enough to find love and get away from a life that she truly did not want. One of the biggest lessons that the movie teaches is that people should follow their heart no matter what, which is what Rose did and her life was an extraordinary one. People, whether they are rich or poor, should live their lives the way they want, and not allow anyone to tell them how to live. Rose was fortunate enough to survive the sinking of the Titanic, and though times were hard, she made it on her own, which is a very valuable for everyone to learn. itanic is mostly about the sinking of the world’s biggest ship, the RMS Titanic, but there is also the side story involving Jack and Rose finding love. While the subject of the world’s biggest ship is not what some people would call humorous, there are a lot of funny moments in the movie that just add something to the movie itself. There are some moments in the movie Titanic that are so magical that the audience got chills from it. Whether it is the Titanic slowly slipping out of Southampton Harbor, or Jack and Rose flying on the bow, some moments of the 20 year old movie just are so breathtaking that they stay with the audience forever. The Titanic movie turns 20 years old towards the end of December of this year, but despite the fact it is two decades old, it has stood up to the test of time. The past two posts have listed the ten reasons why the movie is still one of the greatest movies of all time, and will continue to be so in the hearts of its fan. 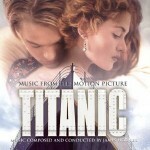 Titanic starred Oscar-winning actress Kate Winslet, and Oscar-winning actor Leonardo DiCaprio. In the film, the two actors play two young kids who fall in love aboard a ship that is destined to sink. The fact Jack and Rose came from two very different worlds, his being poverty and hers being great wealth, the two were able to find common ground and find love. The movie also contains a lot of action, especially when Titanic hits the iceberg, and there are also some very funny moments in it that keep the movie a little on the lighthearted side. Titanic is an historical movie about the world’s largest ship that never made it past her maiden voyage, and took over 1500 passengers to the bottom of the ocean, but the love story on the side also makes it one of the great movies ever despite the fact it is about to turn 20 years old.